NEW YORK — Two “engaged” homosexual men who have served as ministry leaders at Hillsong’s New York campus have released a statement contradicting claims from leader Brian Houston, outlining that the church has known about their homosexuality from the “very beginning” and still allowed them to serve in ministry roles. As previously reported, Josh Canfield, a Broadway performer, told Playbill earlier this year that he had become engaged to his boyfriend, Reed Kelly. 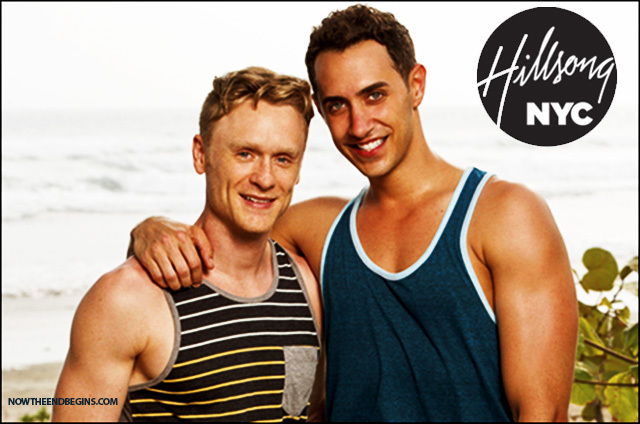 Both had been featured on the reality show “Survivor: San Juan del Sur—Blood vs. Water.” He outlined that he is a choir director at Hillsong New York City and that he had admitted his homosexuality to his church. Last week, a blog reported about the information afresh, lamenting that Hillsong New York City, led by Carl Lentz, “allow[s] an openly and unrepentantly gay couple to lead their choir.” The post went viral, generating over 63,000 shares and generating concern from Christians nationwide. Following the attention to the matter, Hillsong leader Brian Houston issued a statement about the situation, stating that both men are no longer in the choir. “I wish to correct reports that Hillsong church has ‘an openly gay couple directing a choir’ at our New York City campus,” Houston wrote. He said that Hillsong was “surprised” to hear about the men’s engagement, and that they haven’t been involved in ministry since the announcement. “The drama that is unfolding at the moment all revolves around the fact that we have been heavily involved in our church, Hillsong NYC,” Canfield and Reed wrote. “Thankfully we are led by pastors who are grace-filled and committed to continuing to try to discern God’s will on this matter,” Canfield and Reed wrote.